Bernie Sanders' presidential campaign said the Vermont senator received treatment at a walk-in clinic Friday for a minor injury while campaigning in South Carolina. Campaign spokesman Arianna Jones told reporters that Sanders cut his head on the edge of a glass shower door, and went to a walk-in clinic. Sanders received a half-dozen stitches and was given a "clean bill of health," she added. Jones said Sanders was continuing with all scheduled events, including a breakfast with local clergy and a roundtable on health care while in South Carolina. Video footage of the health care roundtable showed Sanders sporting a large bandage on his forehead. Sanders will travel to Nevada ahead of his first rally in the early-voting state since launching his presidential bid, which will be held Saturday. 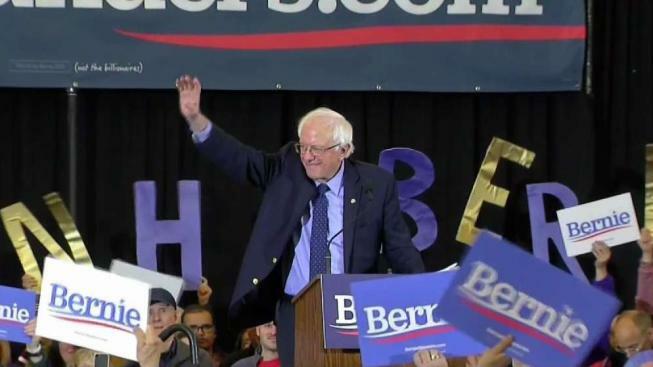 The 77-year-old announced last month that he is running for president in 2020. It's his second run after losing the Democratic nomination to Hillary Clinton, who eventually lost her bid for the White House in 2016 against Donald Trump. He was in New Hampshire last weekend, the early-voting state where he is currently seen as one of the Democratic frontrunners. Sanders is part of a long list of Democratic candidates hoping to unseat Trump, including Sens. Kamala Harris of California, Cory Booker of New Jersey, and Elizabeth Warren of Massachusetts. Former Vice President Joe Biden is also rumored to be seriously considering a bid for the presidency.